Have you ever tried using a laser cutting service? It can be a great asset for your company! What can you do with a laser cutter? 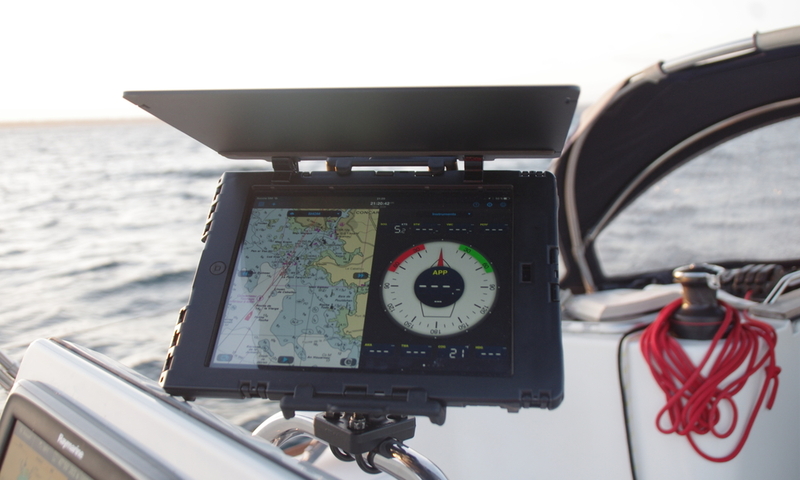 One of our customers, iTabNav, sells accessories dedicated to the use of tablets on boats, or for other outdoor activities. For one of their parts, they figured out that laser cutting POM was a better option than 3D printing. 3D printer vs. laser cutter: how did they make up their mind? We had a talk with Dominique Gauthier, general manager. iTabNav is a French company created 6 years ago, which mainly sells accessories dedicated to the use of tablets on boats, including waterproof and shock-proof cases, specific mounts, waterproof solar panels, and batteries etc. But since the extreme conditions of navigation can be found in other outdoor activities, we started to diversify our activities with tablet accessories for hiking, quad, winter sports, etc. We sell our products online, and also provide a lot of information to our customers about the use of tablets in boating and other outdoor activities. More recently, we also started selling to businesses needing high-end protection for their tablets (airports, delivery, firefighters etc). What’s the story behind iTabNav? My background is in marketing and innovation. When the first iPad was launched, I was already really passionate about sailing. I figured out this new device would make a great navigation tool, if we had the right accessories to make it water- and shockproof. 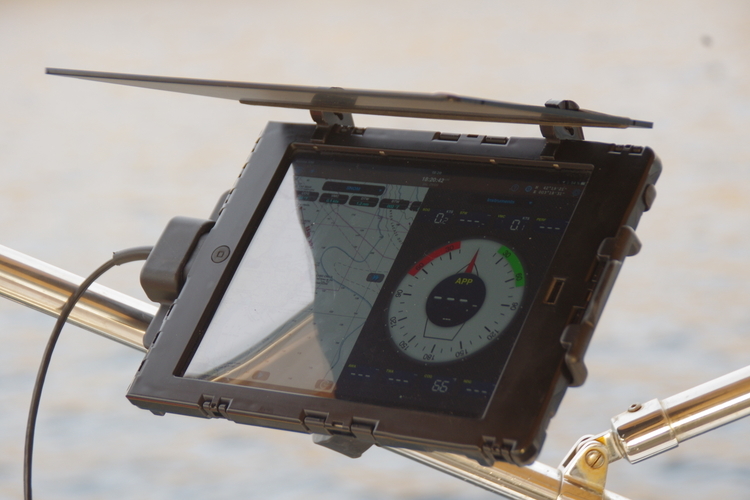 iTabNav was created at that time and iPads are now widely used on boats! ITabNav is still a small team, working with external partners and experts to provide the best products and services to our customers. Our main customers are boaters and people who practice outdoor sports who need high-performance devices to practice their activities. We also work more and more with business customers who need specific robust accessories to deploy tablets in the field. These are high-potential markets, where clients have a high level of expectations. For which project did you start using our laser cutting service? When it comes to using tablets outside, the sun can often lead to readability issues. 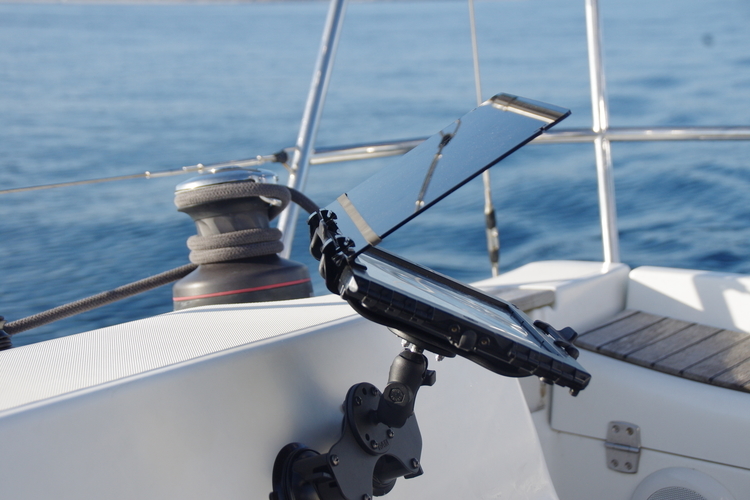 Whereas tablets have proven to be extremely useful and versatile on boats, providing ergonomic access to many functions previously reserved to professional racers, many people were still reluctant to use them because of a perceived lack of visibility. We quickly identified this issue, and we decided we wanted to find solutions by designing our own product. Existing sun shades were not designed at all for this use, so we had to create a whole new concept. The product we designed needed to be a visor with a specific angle, creating enough shade and preventing screen reflection, while the user could still conveniently use the touchscreen. Thus, we designed some specific visor mounts. After a bit of research, we figured out that it was easier to use 3D printing than molds, and also cheaper. But in the end, thanks to Sculpteo’s sales team, we realized that laser cutting was way more suited for our usage. 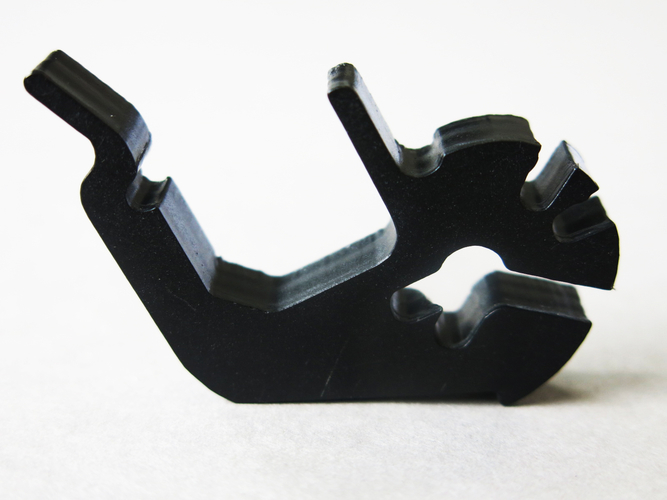 3D printer vs Laser cutter: Why was laser cutting a better choice? We had to use plastic for our parts since we needed a stainless and stable material. But we were not fully satisfied because the cost was higher than what we expected. That’s why Sculpteo’s sales team suggested us to try laser cutting with POM material. Since our parts could not be hollowed because they needed to be really resistant, this technology was clearly the best we could choose. We’re really satisfied with the results, our parts are strong, with a nice surface aspect and good precision. I think 3D printing is more suited for complex designs, or parts that can be hollowed to decrease their price. But in our case, laser cutting prove to be the right choice! How did you get your laser cutting designs? We had already done a bit of design, but we didn’t have enough expertise to create a complex part, flexible and robust at the same time. Sculpteo helped us create the 3D models after our drawings, which we really appreciated. The sales team gave us some advice at each step of the design process. We hope this customer story helped you get a clearer idea of which technology is best for your project. 3D printer vs. laser cutter? Well, everything depends on your requirements. If you need a resistant part, not hollowed, and with a design that is not extremely complex, laser cutting can be a great choice, as it has been for iTabNav. Convinced? Start trying our laser cutting service!